PTSD may sometimes be caused by Brain Injury, Brain Haemorrhage, Subarachnoid haemorrhage (SAH), or Stroke. PTSD is a mental health condition. Mental health conditions are problems with the way you think and feel. Neurological conditions are problems with your brain, spine, or nervous system. Neurological conditions can sometimes lead to mental health problems. "Post-traumatic stress disorder (PTSD) is a type of anxiety disorder which you may develop after being involved in, or witnessing, traumatic events. The condition was first recognised in war veterans and has been known by a variety of names, such as 'shell shock'. But it's not only diagnosed in soldiers – a wide range of traumatic experiences can cause PTSD. "Alertness or feeling on edge. This can include panicking when reminded of the trauma. "Avoiding feelings or memories. This can include feeling emotionally numb or cut off from your feelings." • The Brain Charity can offer counselling for PTSD at our centre in Liverpool. The library at the Brain Charity has a range of resources on PTSD and on a wide range of disability-related issues. 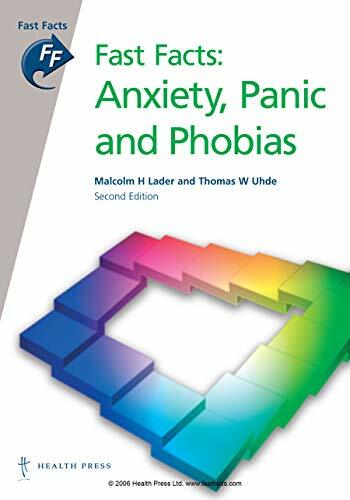 Visit the library to read our copy of the book Anxiety, Panic and Phobias by Malcolm Lader.